Long story short, this is what I wore yesterday. A classical and simple outfit for an everyday look. I paired my new phoenix print blouse with a trench coat and a pair of burgundy jeans. As we all know, a trench coat is an essential item in every women's wardrobe (think about Audrey Hepburn) that will never go out of trend. My advice is to invest in one that has a neutral color. It will be a timeless piece - perfect for any look and age. Hi Adriana!! such a cool mix of colors you get here! you look beautiful! Such a perfect autumn look, love your bag and blouse! You are so elegant sweety, love the sophisticated styling, the trench is such a classic piece. Nice look dear and i like your shirt! very classic and chic. love the look. Beautiful blouse and a whole outfit. Absolutely love this outfit! Very nice! Hi Adriana, thanks so much for visiting my blog! I agree that a khaki trench is a closet must-have, and this one fits you perfectly. =) Your blouse is also absolutely gorgeous! I'm a new follower on both GFC and Bloglovin, and looking forward to seeing more posts. What a great style!! 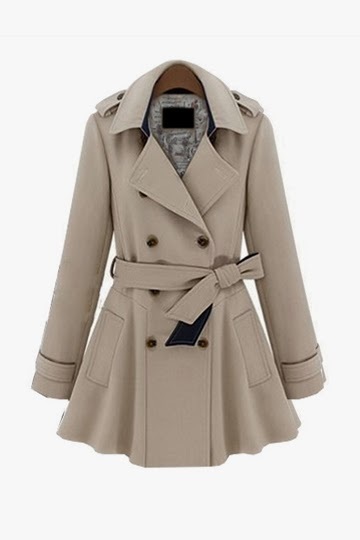 I love trench coats... but can't seem to find a suitable one for my body shape.... looking forward to your next post!!!! I like your blog a lot! You are so stylish! I follow you since now!!!! Lovely trench! Really cool outfit. I am thankful for your kind comment, have an awesome weekend! You look lovely in this trench, what a great piece! Trenches are surely one of the best classic pieces to have in your wardrobe because they will never go out of style (if you have the classic design)! Also, I adore that messenger bag, those burgundy pants, and that beautiful shirt! Love your outfit, especially the blouse and maroon pants! Beautiful! I really enjoy your blog so far and would love to follow each other--please join my GFC and I'll follow you right back! This blouse is so pretty. I like the way you've styled it! I like your outfits and blog! Love the whole look! Im inlove with your top and bag! nice blouse, a great outfit! Such a stylish and pretty outfit! Love it! Thank you for stopping by! A trench is a perfect classic piece - yours is wonderful and I love the colour of the pants you paired it with! Such a beautiful entry! You inspire me! great trench coat! the trench is such a classy and timeless piece! Absolutely loved this outfit! perfect for fall!! Una blusa perfecta ! Me encanta! Very attractive outfit. Love your coat. I work with KalkiFashion.com and love to explore fashion. Great casual look, and you are completely right, a trench is always stylish and a good investment! So nice that shirt dear! I love it! Your outfit looks adorable! Wow, love that blouse!! It's gorgeous and such a stand out piece. I agree that a trench is essential for every women's closet and I can't believe I don't own one. I've been meaning to get one for a very very long time now. I love the trench with the color of your skinnies. Very pretty chic look! In love with your bag and of course the top is also pretty! Unfortunately trench coat is a No-No here in our place haha! Lovely outfit. I like it. I appreciate you finding the time and effort to put this informative article together. OMG!! You looks so pretty. All your dresses are so much gorgeous. Really many thanks for sharing with us. I like to buy frock kurtis for this summer.